New Music and Tour From Ashton Shepherd! Brickshore Media is pleased to announce the addition of Billboard chart-topping country artist Ashton Shepherd to their roster for exclusive PR representation. This South Alabama native is back in the limelight with an upcoming tour and new music to be released later this year. She will also be a part of this year’s CMA Music Festival in Nashville where she will be signing autographs and performing throughout the event. “I had the privilege to work with Ashton Shepherd a few years ago on her last project. She delivers true country music. She’s the real deal and we’re so excited to be a part of her team,” says Nicole Zeller, President/CEO of Brickshore Media. The authentic country sound is back. With new music coming and a full-fledge tour in the works, her latest album Out Of My Pocket portrays the same genuine country style that the audience expects when they think of Ashton Shepherd. 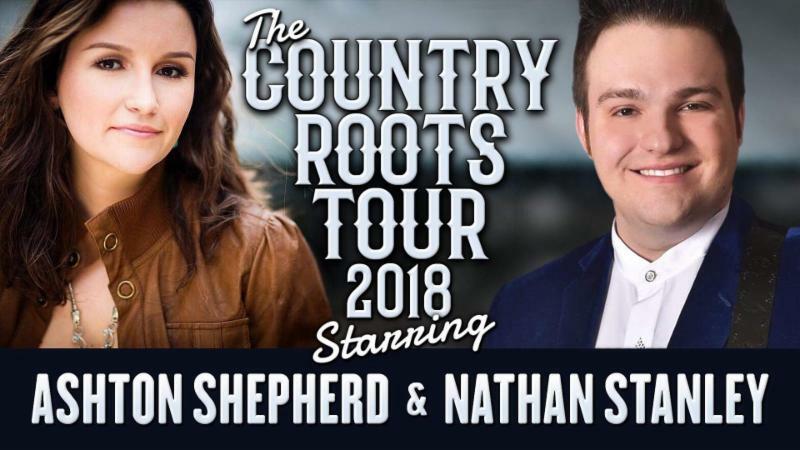 She has recently announced The Country Roots Tour with Dove Award-Winner and ICM Award-Winner Nathan Stanley (grandson of the late Dr. Ralph Stanley). With tour dates already secured in Georgia, Virginia, South Carolina, and more, this show will be one to catch this fall. Country Music News Blog participates in advertising programs that help fund the operation of this site. For more information please visit our privacy statement. This entry was posted in Ashton Shepherd, New Music, Press Releases by Shauna "WhiskeyChick" Castorena. Bookmark the permalink.